Off late, the Indian market has been fortunate enough to receive the best of the best enthusiastic cars. Everything from your Porsches, your Lambos and much more are available. However, import duties and high taxes make these beauties quite expensive by the time you get them on our road. While most of us would love to own an exotic vehicle like that, it is unfortunate that not all of us are that loaded to be able to afford one. With the Octavia RS, Skoda gave us a car that could definitely give most of these exotic cars a run for their money with just a basic computer tune and no other changes. No wonder it is been picked up by many tuners in the country. Here is one such example, called the Inferno, ready to incinerate its competition. 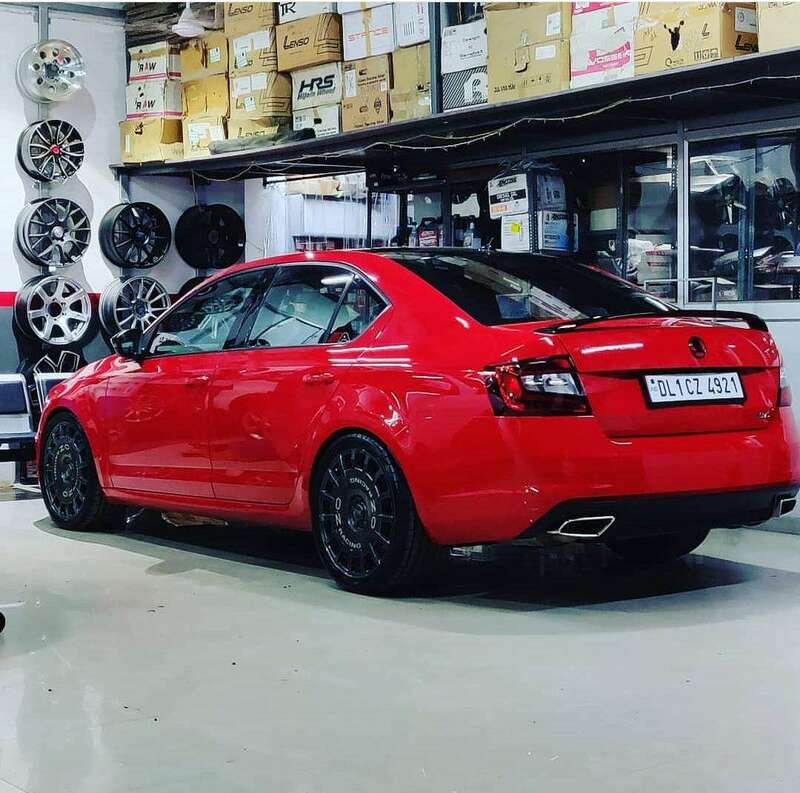 Finished in a shade of red, let us first talk about the cosmetic upgrades of this particular Skoda Octavia RS. Up front, the grille and the bumper splitter have been blacked out. The same blacked-out treatment is also been done to the roof, the wing mirrors and the boot lip spoiler. 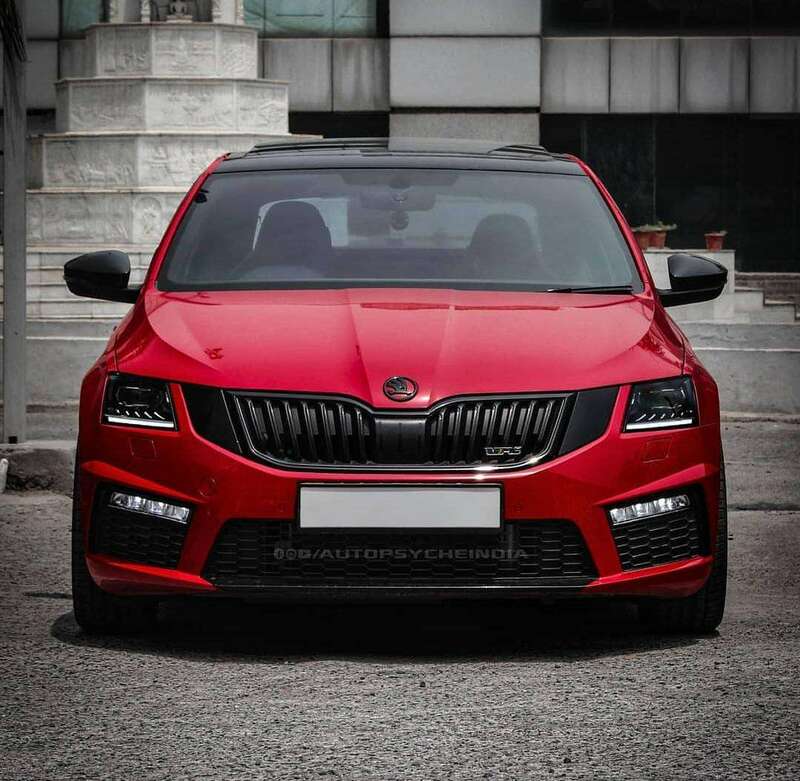 The high beam light unit, which is separated in the facelift of the Octavia has been tinted black as well for a neat appearance. The side profile of the car is adorned by rather large, 19-inch OZ Rally Racing wheels that have been wrapped in 255/35 section Dunlop Sportmaxx rubber. The car gets the lovely stance from Eibach Pro Street S Coilover suspension. With the aesthetics out of the way now, let’s come to the mechanical side of things. The 2-litre turbocharged petrol motor has been given a Revo stage 2 ECU remap giving the car more than 320 PS of peak power and a twisting force of more than 500 Nm. The DSG transmission too, has been given a TVS stage 2 remap to handle such high amounts of torque. The car needs tremendous amounts of air, which better be unrestricted to pt such high power figures to the ground. That is done by a cup edition air intake, turbo inlet and bend pipe from RacingLine. On the exhaust side of things, the car gets a Milltek decat turboback exhaust and Borla XR1 race series muffler. Below are some images of this red hot inferno for you to see.